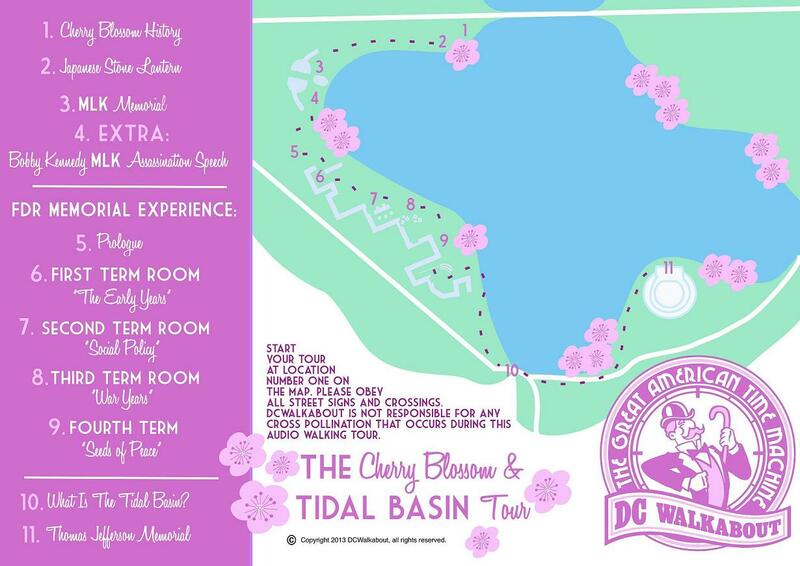 Our Tidal Basin Memorials & Cherry Blossom Tour tells the tale of the Cherry Blossom Trees, MLK Memorial, FDR Memorial, and Jefferson Memorial - all while on a beautiful walking tour around the border of the Tidal Basin. Discover the story of Martin Luther King and his Memorial while the sounds of the 1963 March on Washington play in the background. Find out the history of the Cherry Blossoms to the music of the Shamisen. Become inspired at the FDR Memorial as the inscribed quotes come alive in FDRs own voice. Learn what it meant to be alive during the Great Depression and WWII. Hear the story of the man who wrote the Declaration of Independence while you listen to the music of his favorite composer, Arcangelo Corelli. Gaze across the Tidal Basin and reflect on how far we have come as a country as you enjoy some of the best views in Washington DC.